Whether you need a motorcycle hauler or a trailer to hitch to the back of your motorcycle, Country Blacksmith has you covered. 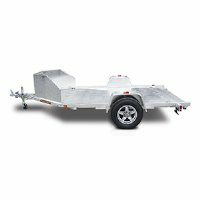 We stock the finest trailers in the industry, starting with the popular, high quality Aluma trailers! We now offer you the ability to buy your trailer online and add-on features to customize your trailer using our "Product Options" feature.